M.Sc. Jan. 1999. Forest Sciences. Institut Pertanian Bogor (IPB) Major in Wood Products; Minor in Wood: Pest, Decay and Protection (Thesis Title: Feeding preference of Subterranean Termite Coptotermes curvignathus Holmgren (Isoptera: Rhinotermitidae) on Eight Species of Wood) ; Advisor: Prof. Dr. Rudy C. Tarumingkeng. Pest, decay and protection of wood and non-wood, weathering properties of wood and non-wood, modification and treatment of wood and non-wood, Advanced Composites, Hybrid Reinforced/Filled Polymer Composites, Bio-materials Science and Technology, Lignocellulosic composites (wood and non-wood), utilization of Oil Palm Biomass, Application of nanotechnology on wood and Sustainable Biobased composites as New Materials for New Economy. Ihak Sumardi, Rudi Dungani, Yoyo Suhaya, Alfi Rumidatul, and Muhammad Navis Rofi. (2018). Alternative Materials for Strand Boards Made with Waste Veneer from Industrial Plywood In Indonesia. Bioresources 13(4): 8385-8393. HPS. Abdul Khalil, Tze Kiat Lai, Ying Ying Tye, M. T. Paridah,M. R. Nurul Fazita A. A. Azniwati, Rudi Dungani, Samsul Rizal. (2018). Preparation and Characterization of Microcrystalline Cellulose from Sacred Bali Bamboo as Reinforcing Filler in Seaweed-based Composite Film. Fibers and Polymers, 9(2): 423-434. Sri Aprilia, N. A; Nurul Atiqah, M. S; Ismail, Zhari; Loo, C. Y; Saurabh, Chaturbhuj K; Dungani, Rudi; H.P.S, Abdul Khalil. 2017. Supercritical Carbon Dioxide Treated Kenaf Bast Pulp Fiber Reinforcement in Epoxy Composite. Journal of Renewable Materials. DOI: https://doi.org/10.7569/JRM.2017.634130. Chaturbhuj K. Saurabh, Asniza Mustapha, M. Mohd.Masri, A. F. Owolabi, M. I. Syakir, Rudi Dungani, M. T. Paridah, M. Jawaid, and H. P. S. Abdul Khalil. (2016). Isolation and Characterization of Cellulose Nanofibers from Gigantochloa scortechinii as a reinforcement material. Journal of Nanomaterials, Volume 2016, Article ID 4024527. 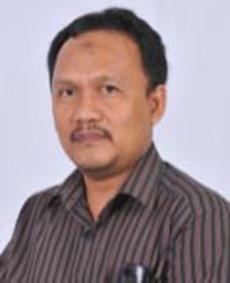 Abdul Khalil, H.P.S., Hossain, Md.S., Nur Amiranajwa, A.S., Nurul Fazita, M.R., Mohamad Haafiz, M.K., Suraya, N.L.M., Rudi Dungani ., Fizree, H.M. (2016). Production and characterization of the defatted oil palm shell nanoparticles. Sains Malaysiana, 45, pp. 833-839. A.Sulaeman, Rudi Dungani, Md. Nazrul Islam, H.P.S. Abdul Khalil, Ihak Sumaradi, Dede Hermawan, and Anne Hadiyane (2016). Preliminary Study of Characterization of Nanoparticles from Coconut Shell as Filler Agent in Composites Materials. MAYFEB Journal of Materials Science, Vol. 1, pp. 1-9. Sivabalan Sasthiryar, H.P.S Abdul Khalil, A.H Bhat, Z.A Ahmad, Md Nazrul Islam. A. Zaidon and Rudi Dungani (2014). “Nanobioceramic Composites: A study of mechanical, morphological and thermal properties” Journal of Bioresources Vol. 9(1) page 861-871. Rudi Dungani., H.P.S. Abdul Khalil, Md.Nazrul Islam., Y. Davoudpour and Alfi Rumidatul (2013). “Modification of The Inner Part of The Oil Palm Trunk Lumber (OPTL) with Oil Palm Shell (OPS) Nanoparticles and Phenol Formaldehyde (PF) Resin : Physical, Mechanical and Thermal Properties”. Journal of Bioresources 9(1), 455-471. Chapter 3: Biomaterial from Oil Palm Waste: Properties, Characterization and Applications . In book: Palm Oil. (Ed. Viduranga Waisundara) Woodhead Publishing. IntechOpen, DOI: 10.5772/intechopen.76412. (2018). ISBN: 978-1-78923-427-5. Siti Suhaely., H.P.S. Abdul Khalil , M. Azniza, M.R. Nurul Fazita, A.R. Mohamed, Rudi Dungani, W. Zulqarnain and M.I. Syakir. 2017. Chapter 14: Design of green laminated composites from agricultural biomass. In: Lignocellulosic Fibre and Biomass-Based Composites Materials: Processing, Properties and Applications. (Eds. Mohammad Jawaid Paridah Md Tahir Naheed Saba). Woodhead Publishing. ISBN: 9780081009598. Rudi Dungani, HPS Abdul Khalil, Ihak Sumardi, Yoyo Suhaya, Endah Sulystiawati, Md. Nazrul islam, NLM. Suraya, and Sri Aprilia. (2014). Chapter 1: Non-wood Renewable Materials: Properties Improvement and Its Application. In: K. Hakeem, U. Rashid and M. Jawaid (eds). Biomass and Bioenergy: Application (Volume II). SPRINGER-VERLAG Publisher, U.S. ISBN 978-3-319-07577-8. Rudi Dungani , Dodi Nandika. Wood consumption and survival of subterranean termite Coptotermes curvignathus Holmgren . The Second International Wood Science Symposium, Serpong Indonesia, (1998). Rudi Dungani . Effect of Boucherie method treatment on termite resistance of laminated bamboo surat ( Gigantochloa robusta) . The Fourth International Wood Science Symposium, Serpong Indonesia, (2002). Yeddy Nurahman, Rudy C. Tarumingkeng, and Rudi Dungani . Wood preservatives consumption in West Java. The 4th Annual Meeting of the Indonesian Wood Research Society (IWoRS), Samarinda, Indonesia (2001). Rudi Dungani and Erna Setyowati. Deterioration on housing in Bandung . The 3 th Annual Meeting of the Indonesian Wood Research Society (IWoRS), Bandung, Indonesia (2000). Rudi Dungani , Dodi Nandika, R. Tarumingkeng, and D. Darusman. Feeding preference of subterranean termite Coptotermes curvignathus Holmgren on eight wood . The 2 th Annual Meeting of the Indonesian Wood Research Society (IWoRS), Yogyakarta, Indonesia (1999). Feasibility study of development raw materials wood terminal in East Java – Ministry of Industrial Republic Indonesia (2011). Identification and inventory of raw materials of small and medium creative industry – Ministry of Forestry (2009). Pre-feasibility study of rattan terminal in Central Kalimantan – Ministry of Industrial Republic Indonesia (2008). Feasibility study of development industrial area integrated oil palm wood processing in North Sumatera – Ministry of Industrial Republic Indonesia (2007). The preparation of strategy development rattan and dairy products – Ministry of Forestry Republic Indonesia (2006). Preparation of planning general development business bamboo – Ministry of Forestry Republic Indonesia (2005). Preparation of Detail Engineering Design of wood terminal in Central Java – Ministry of Industrial Republic Indonesia (2004). Performance Assesment of Industry forestry in East Kalimantan – Ministry of Forestry Republic Indonesia (2003).